Jazz Jam…This Might Be The Start Of Something Big! 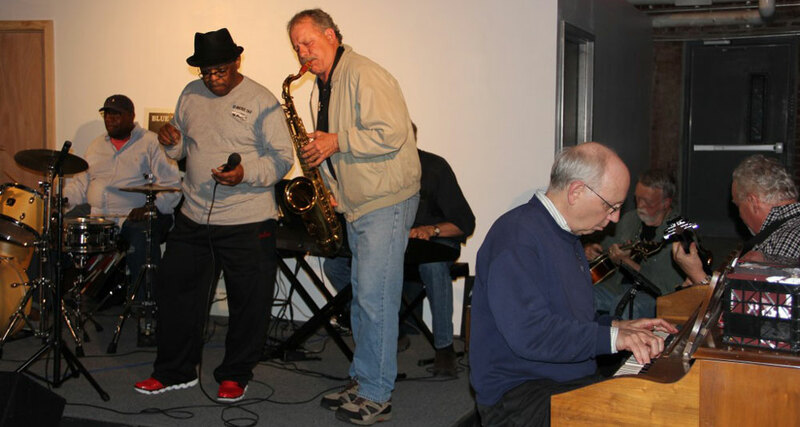 As you know I’m a member of MAAG and a regular participant of the monthly Jazz Jam. 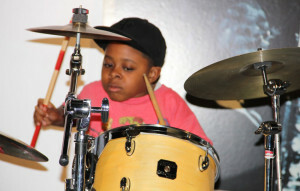 I was very much encouraged by the last jam session held this past Wednesday May 8th. 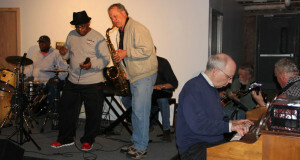 This was the second session of the new format which features a guest artist in addition to the house band and other musician participants. Based on what I saw and heard last Wednesday, it seems that the level of both performance and the musicians attracted to the session were on a much higher level. 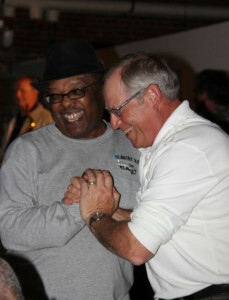 The performance compared favorably with what one would expect at the best jazz venues in and around Philadelphia. Talking to fellow musician participants, the jam session is of sufficient quality to become a real attractor for the kind of high level artistic interaction we have been hoping for. Speaking with non-musician audience members from the neighborhood it was clear that they felt the experience was well worth the small price of admission and that the venue was truly excellent in its warmth and informality. In the opinion of the featured guest artist in conversation with another musician, this was the kind of session that musicians can come to in order to “think” as opposed to the kind of automatic playing one does at a standard gig. This is exactly the kind of comment you want to hear from a musician. So, fingers crossed: if these sessions continue to move in the same direction and continue to gather momentum you might well have, in words of Steve Allen’s most famous jazz standard, This Might be the Start of Something Big. Bravo and kudos to you and Arleen and Tank and his houseband mate, Richard. 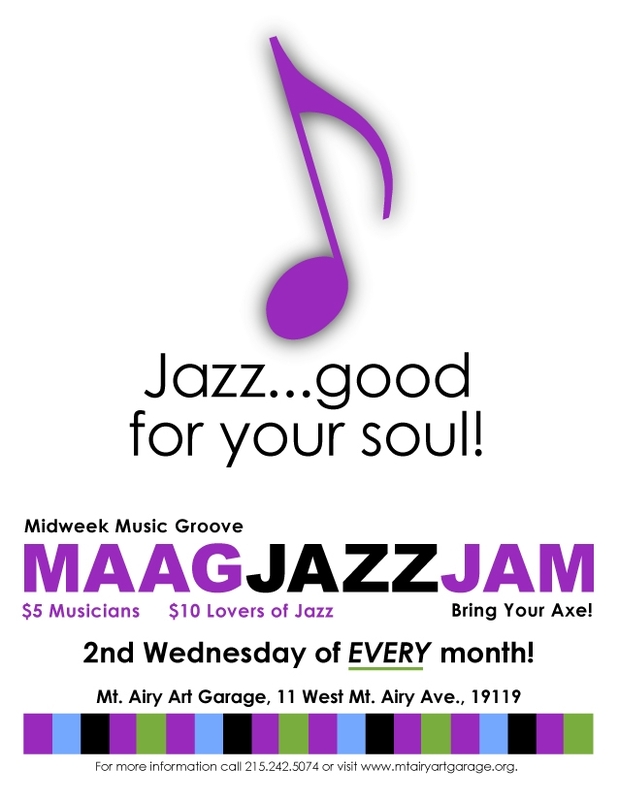 http://mtairyartgarage.org/wp-content/uploads/2013/04/Generic-Jazz-Jam-Flyer.jpg 825 638 Arleen http://mtairyartgarage.org/wp-content/uploads/2016/06/maag-in-action_main-1024x274.png Arleen2013-05-27 11:35:002019-01-30 14:41:47Jazz Jam...This Might Be The Start Of Something Big! 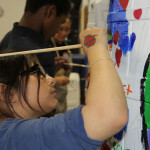 The Rain Barrels Are Coming! 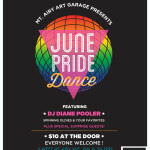 Show Us Your Pride at MAAG’s June Pride Dance!